Welcome to Double Down Charters. Double Double Down Charters is professional charter fishing experience owned and operated by Captain Ty Trosclair. I offer a first class saltwater charter fishing experience. I take pride in satisfying my customers with a memorable fishing experience. 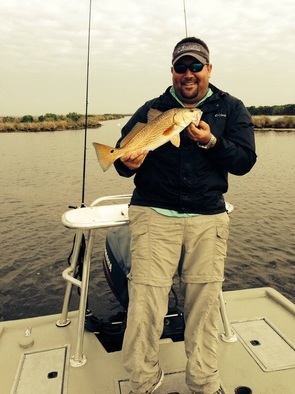 Whether your interest is going in the marshes for tailing redfish, or chasing speckled trout along one of our beautiful barrier islands I can accommodate all your fishing needs.